Call me a calloused, cynical urban music critic if you must, but it’s been a while since music moved me to tears. When you reach a certain age and you’ve seen so many shows you enter any gig situation with a jaundiced been there/done that vibe. Two concerts I attended last week changed all that. 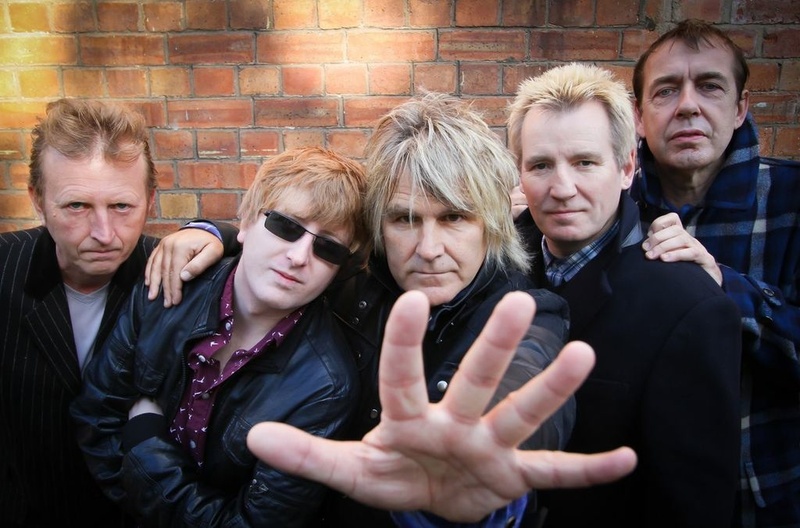 The reconstituted Big Country band reconnected with their old pal Mike Peters, lead singer of the Alarm, to fill the vacancy of their original singer Stuart Adamson who committed suicide a while back. You may recall I interviewed Peters last month. “It’ s tough not to see Stuart Adamson up there, let’s be honest,” he said. That humility is all you need to know about Mike Peters. But maybe not. You see, as he supports his friends from the stage, he battles chronic leukemia himself. At their tour kickoff in Asbury Park’s Wonder Bar, the band produced an exuberant and inspired performance that had them playing as if their life depended on it. Maybe that’s because it does. This band of grizzled survivors has been given a second shot by joining together and they’re not going to blow it! Songs from their new album, The Journey, blended together seamlessly with those from The Crossing, their 30 year-old review. Something like “Heart and Soul” sounds perfectly in line with “Hurt,” a track from the new album that deals with Adamson’s suicide head-on. “No one should be left to walk this life alone/no one should be left to carry a heavy load/no one can hurt you now/no one can bring you down/no one can touch you now,” Peters sang. “To me, the lyrics stemmed from Big Country themselves,” Peters told me during our interview. That sentiment was echoed by the packed crowd, who welcomed their old/new band with open arms. Fists pumped, ceili dances broke out and the Wonder Bar was transformed into an Irish wake for Adamson as the band peeled off his songs. It was closure, and it was truly moving to watch. The band leaned into the new material with gusto, thanks in part to the new blood onstage. Founding member Bruce Watson grinned from ear-to-ear as his son Jamie strummed with him on guitar. And that signature bagpipe song you hear on the iconic track “In a Big Country?” My travel companion, a guitar techie of sorts, informs me that it is an eBow, a magnetic device that coaxes that screechy sound from a guitar string! The Alarm and Big Country met while supporting U2 on one of their first tours, and Peters raised a glass to Bono and the boys for making this long friendship possible. There was a table off to the side of the stage manned by members of the Love Hope Strength Foundation, a group founded by Peters to delete the blood cancer he suffers from. They were there to take cheek swabs from fans with the hope that the sample will lead to a bone marrow match for someone that needs it (check it out on http://www.lovehopestrengthfoundation.co.uk). I was told by the technician that the $80 lab fee to make blood marrow matches from these swabs was being picked up by the band. Music that matters with a purpose of saving lives. If that doesn’t move you to tears I don’t know what will! Check out Big Country at http://www.bigcountry.co.uk.